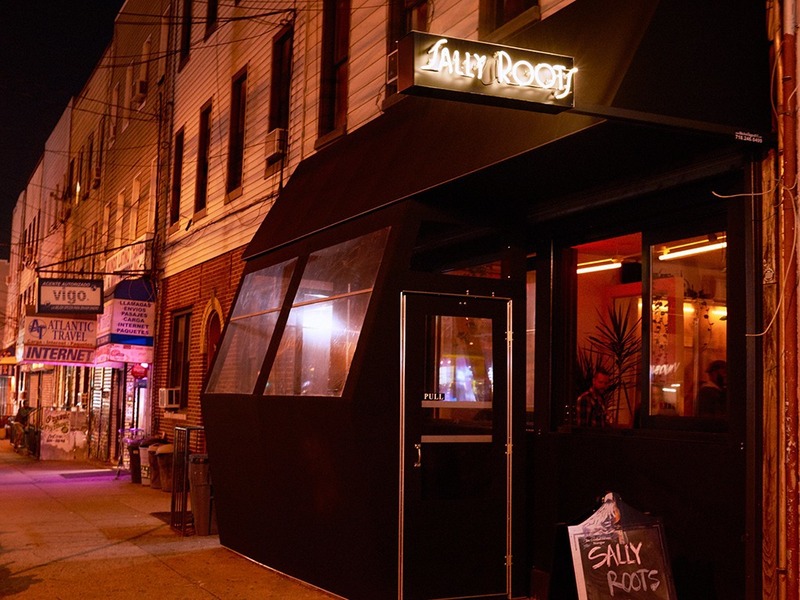 Sally Roots has been open for a little under a month and has already become a staple for some. 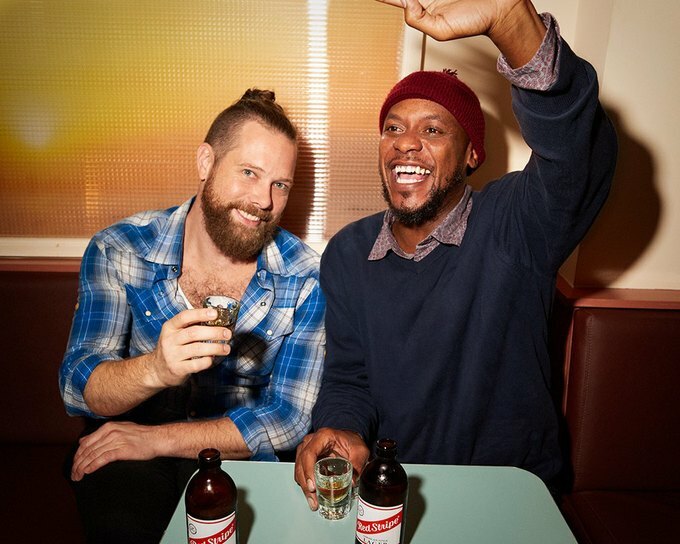 The co-owners of Featherweight and Sweet Science James Freeman and John De Piper have joined the James Beard-nominated restaurant designer Matthew Maddy to bring Bushwick the beautiful new restaurant Sally Roots. The thoughtfully conceived new bar and eatery is serving up Caribbean cuisine with American panache over on Wyckoff Avenue at Harman Street, and here's what lies in store there for hungry and thirsty patrons! Once Freeman and De Piper acquired their cozy new space, their concept was a no-brainer. 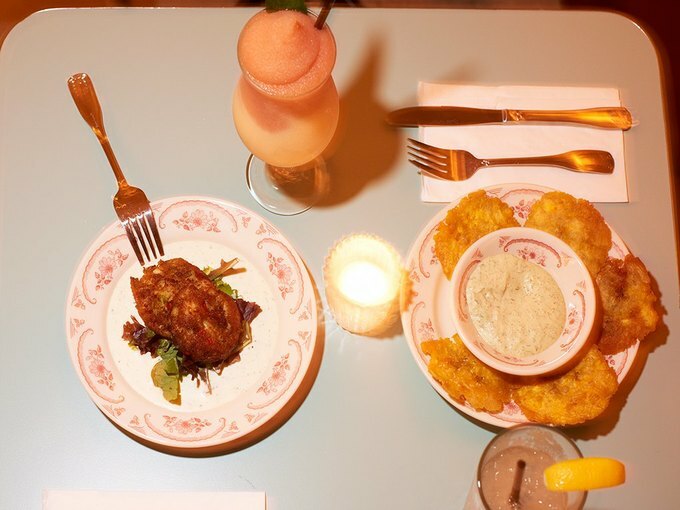 Freeman, who hails from La Croix himself, has always had a soft spot for Caribbean food. De Piper, who was born in Italy and has lived literally all over the world, is excited that their menu, developed by Chef Paul Madrid, goes down “like you’re sitting in your grandma’s kitchen,” offered at price points that are just as palatable. 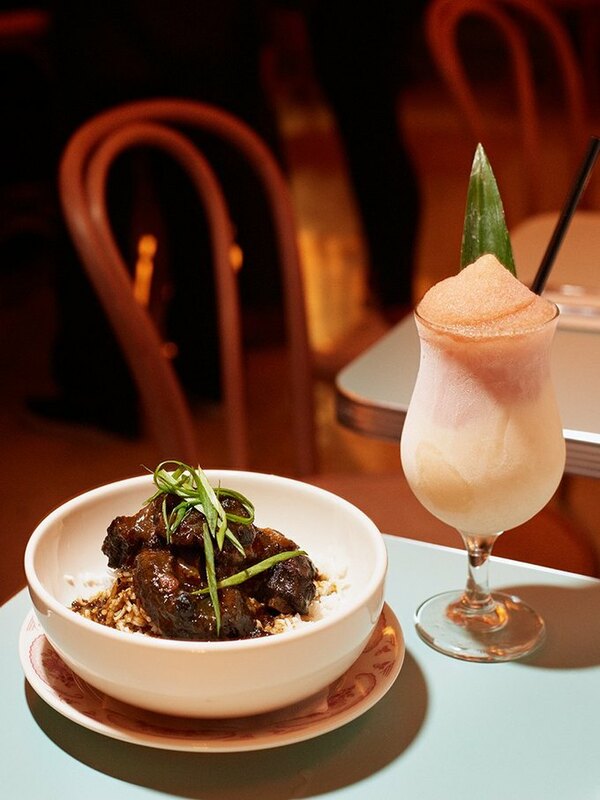 The most expensive item on the menu is their short ribs with barbecue and mashed potatoes for $16, and most of the items range between $9 to $12. De Piper explains that management was determined to keep prices low: “we want to be affordable to everybody in the neighborhood," he explains. We recommends the cod fish cakes, a plate of two addictive, sumptuous cakes stuffed with salted cod and served with coconut ranch. This dish isn’t too big to preface an entree, but would also be meal enough on its own for a diner seeking a small but filling meal. Cod cakes and tostones. 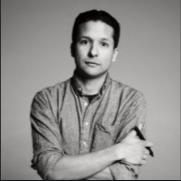 Alonzo Maciel for Bushwick Daily. A heartier dinner option is the oxtail bowl. Served over a mound of coconut rice and pigeon peas, this one is a generous serving. The braised oxtail, which literally falls off of the bone, so flavorful and comforting that it’s as if somebody in the kitchen intuited exactly what you were hungry for (an uncannily grandmotherly quality)! The house cocktail options are also deeply satisfying. One standout is the Evening Tide ($11), made with with carrot, orange, lemon, tequila, and cayenne. The cayenne packs a tiny punch, but isn't overpowering. A patron who was nursing a cold on a recent visit to the bar noted that the drink seemed to have an immediate effect on her; such is the power of fresh, natural ingredients! Drafts are pretty standard for area pricing, and are mostly in the $6 range except for the Pacifico, which is $5. 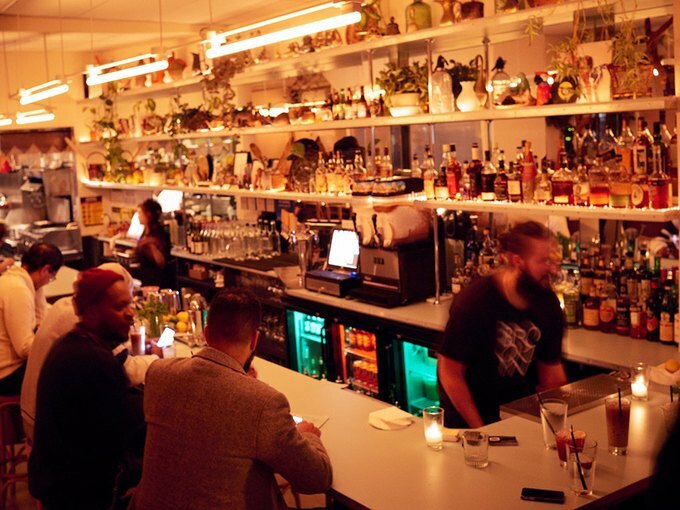 Sally Roots' interior has a dreamy urban island like Dromedary Bar's, which is a welcome departure from the minimalist warehouse aesthetic that can feel ubiquitous in Bushwick nightlife. The atmosphere is familiar and cozy; it reminded me of my mother's 70's-era photos from her childhood on Guam, and of the glow of the lighting in a Wes Anderson film. The soft blue walls wind back toward a back room and open onto a back yard filled with cute umbrella topped tables, where it's easy to imagine summertime parties fueled by crushed ice cocktails. Sally Roots is in good company: its neighbors are Variety Coffee Roastery and the newly opened pizzeria spot Ops. 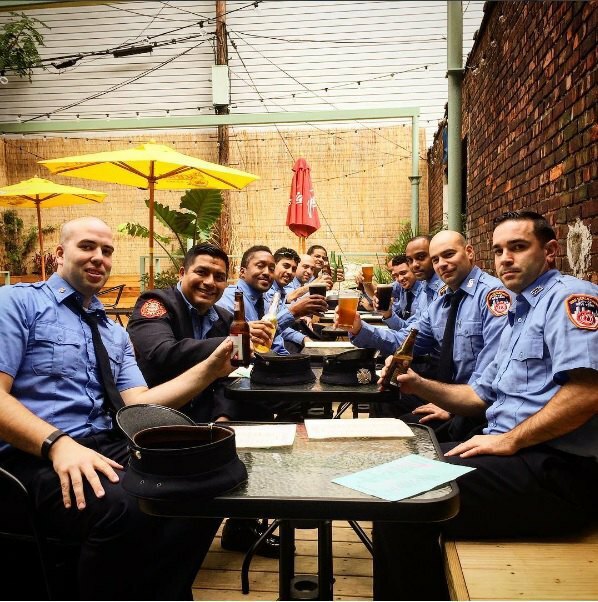 Considered together, the three establishments make the stretch of Wyckoff Avenue between Himrod and Harman streets a Bushwick dining destination for locals and visitors alike. Check out Sally Roots, Bushwick! 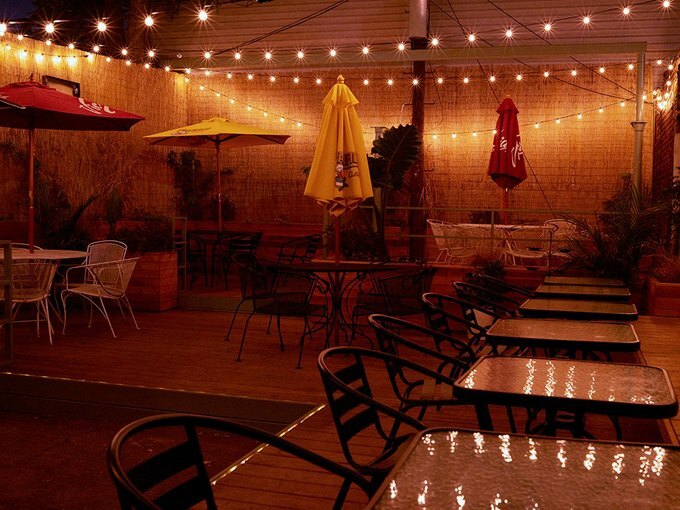 A new bar and eatery is serving up Caribbean cuisine with American panache.